Consider the lowly onion—sweet, crisp, pungent, tear-inducing... and indispensable. 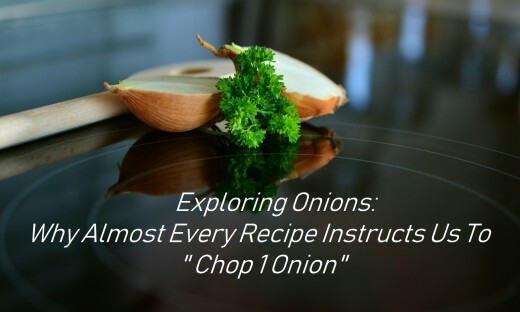 In any given part of the globe, it seems the instructions for the preparation of any dish include the phrase "chop one onion..."
Over 9.2 million acres of onions are harvested annually around the world. This production is grown from more than 8 million pounds of seed. 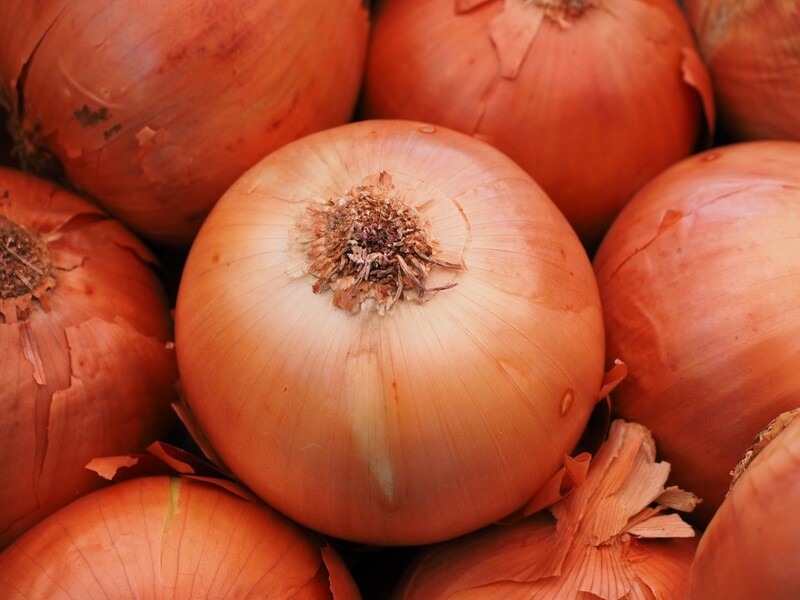 The top producers of onions are China, India, USA, Egypt, Iran, Turkey, Pakistan, Brazil, Russia, and Korea. 74.2 million metric tons of onions are produced each year (that's about 11 kilograms, or 24 pounds per person, assuming a global population of 6.9 billion). It seems that there should be enough to go around. On the surface, the onion is a simple plant, but the onion family (Allium) is large and diverse, with over 500 species. There is one thing on which we can all agree—that we cannot agree on where onions originated. Ever since Cain and Abel there have been hunters and gatherers, those who pursue fish, fowl, or fanged beast; and those who till the soil, harvest the fruit, and gather the onions. But there was no written word when time began; the tissue of onions leaves few discernable traces behind, so...archeologists and historians are left to rely on prehistoric remains and tools to form a hypothesis (which is a fancy way of saying that they take all of the information they can find and make a reasonable guess). I crawled into the vegetable bin, settled on a giant onion and ate it, skin and all. It must have marked me for life for I have never ceased to love the hearty flavor of onions. Some look to central Asia where wild onions still thrive today. It is known that more than 5,500 years ago the Chinese tended gardens which included onions. The research of other food historians suggests that onions were first grown by the Babylonians in Iran and West Pakistan. "The oxen of the gods plowed the city governor's onion patches. The onion and cucumber patches of the city governor were located in the gods best fields." Whether you hold with the theory that onions originated in Asia or in the cradle of civilization, we can at least agree that onions would have been a staple in early man's diet. Perhaps the original fast food, onions were adaptive to many different soils and climates and so could be grown in many places. They could be stored, dried, and preserved for later use. What's not to love? 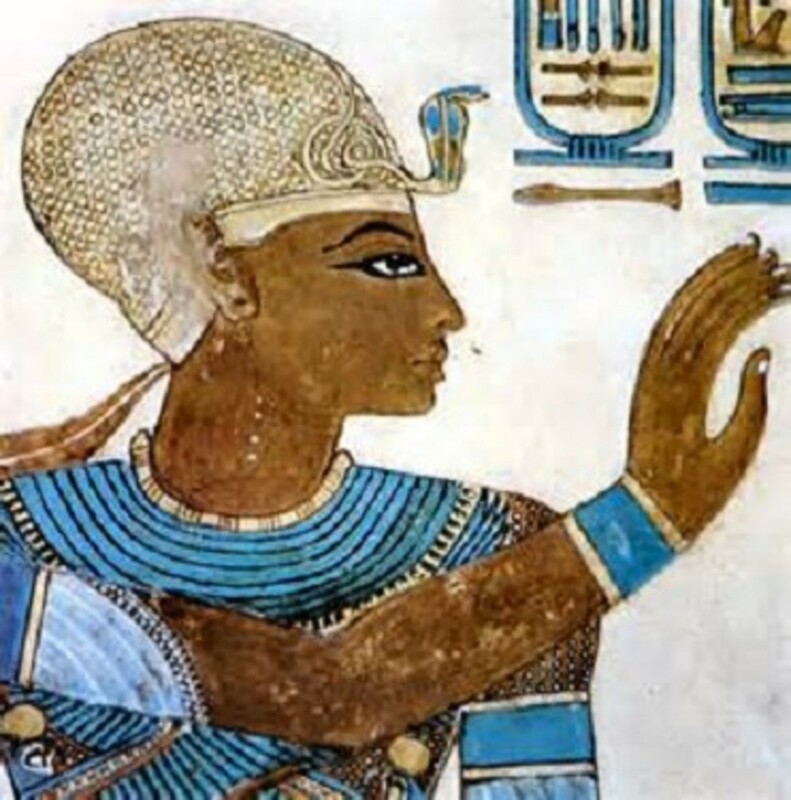 And, all kidding aside, as such an important part of life, they became central to all facets of early civilization, appearing in art, medicine, and mummification. The earliest known records of the use of onions are paintings, not recipes. 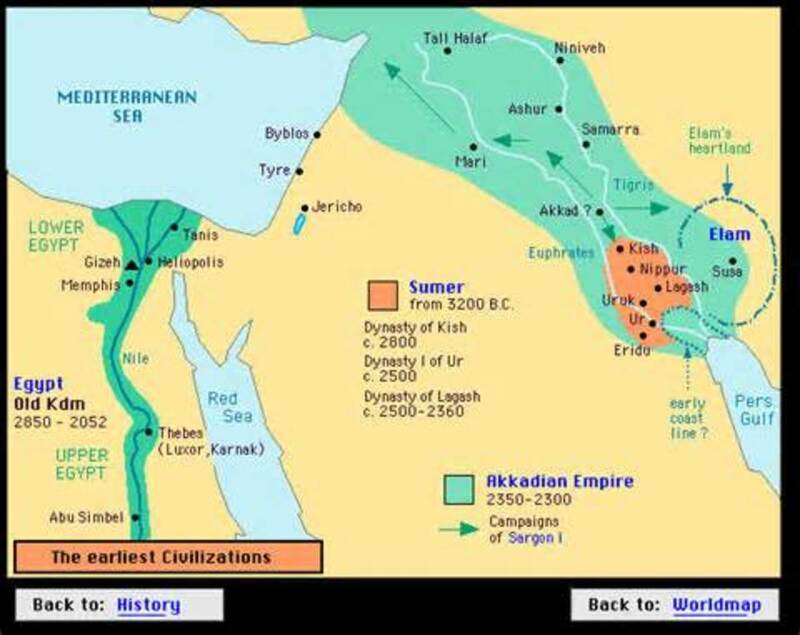 Around 3,200 B.C. 1st dynasty Egyptians included them in their artwork. In Egypt, onions were more than a foodstuff; they actually became an object of worship. The Egyptians looked upon the anatomy of an onion—a circle within a circle within a circle—as a representation of eternal life. For this reason, onions were buried with the Pharaohs. The remnants of onions have been found within the pelvic regions, chests, and ears of mummies and near the legs and soles of the feet. King Ramses IV, who died in 1,160 B.C., was buried with onions in his eye sockets. 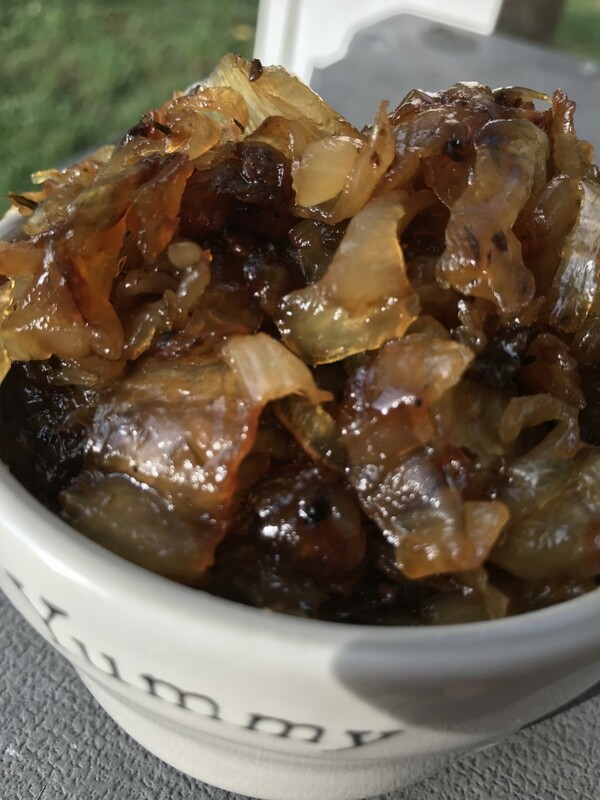 Egyptologists theorize that onions might have been used in the mummification process as an antiseptic, or perhaps because their strong scent was thought capable of prompting the dead to breathe again. Onions were not reserved solely for the pleasure of the wealthy Pharaohs. Apparently they were also provided to the slaves--no, not for their entombment, but for energy and strength to build the pyramids . Were onions an elixir, a source of energy, the steroid of ancient times? 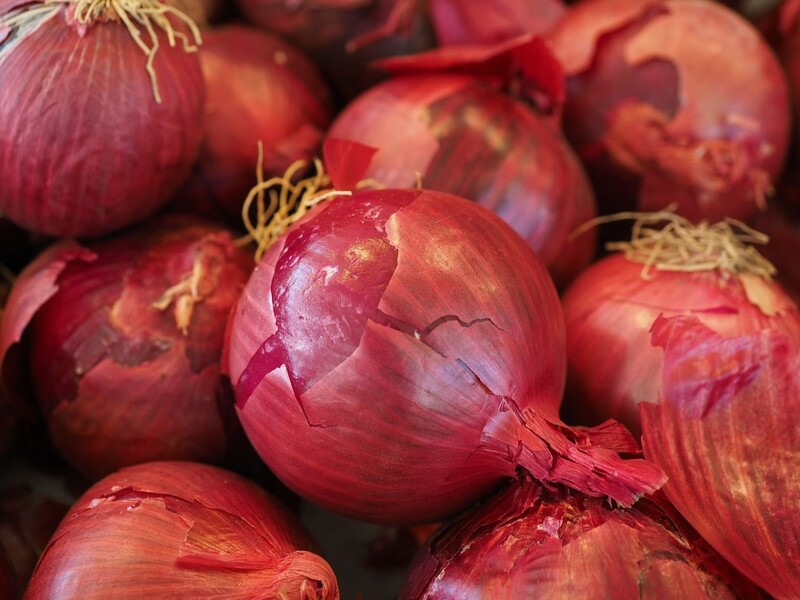 Alexander the Great prepared his armies for battle with (you guessed it) onions. In Greece trainees for the Olympics not only ate onions, but they also drank the juice of onions and rubbed it on their bodies as a source of energy. "The word was created by adding the onion shaped letter 'o' to the word unio. A union is something that is indivisible and which, if taken apart, is destroyed in the process, like an onion"
And, as Rome goes, so goes the world. 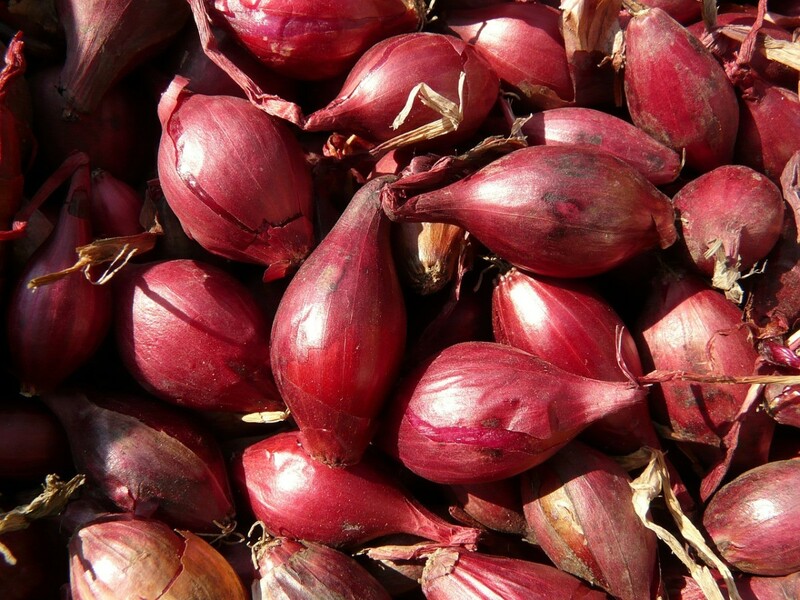 With their travels (aka conquests), Roman armies introduced onions to Europe. And, what a blessing that was. After the fall of the Roman Empire, Europe plunged into what is known as the Dark or Middle Ages. The primary sources of food were beans, cabbage, and onions. Onions became not only a source of sustenance, but were also used as curatives and as a commodity. Even Charlemagne ordered that onions be planted in his royal garden. On his second sailing to the New World, Columbus brought cultivated onions. Wild onions were growing in America, but they paled in comparison in size and intensity of flavor. It is clear that the onion played a significant role in world affairs. The great pyramids were constructed by workers fortified by onions. The troops of Alexander the Great were sustained by onions in their conquest of what was then much of the civilized world. During the Civil War, General Robert E. Lee commented, “I have been up to see the Congress and they do not seem to be able to do anything except eat peanuts and chew tobacco, while my army is starving….”And Ulysses S. Grant famously sent a telegram to the War Department, stating "I will not move my army without onions." The next day he received three train car loads of them. So Why ARE They In So Many Recipes? One could say that the onion is the chameleon of vegetables. 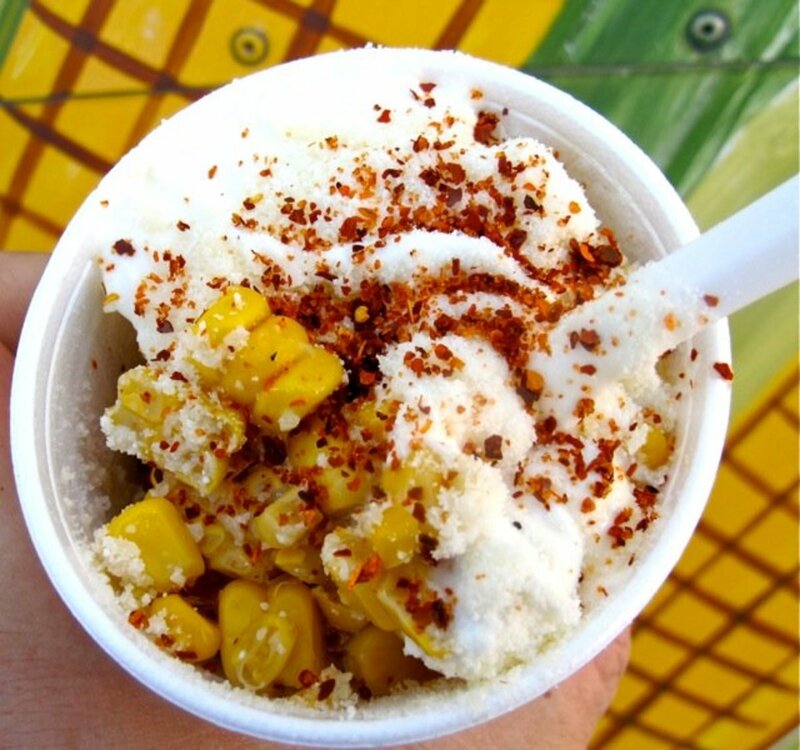 It can add crunch, bite, and even some intense heat in some circumstances. 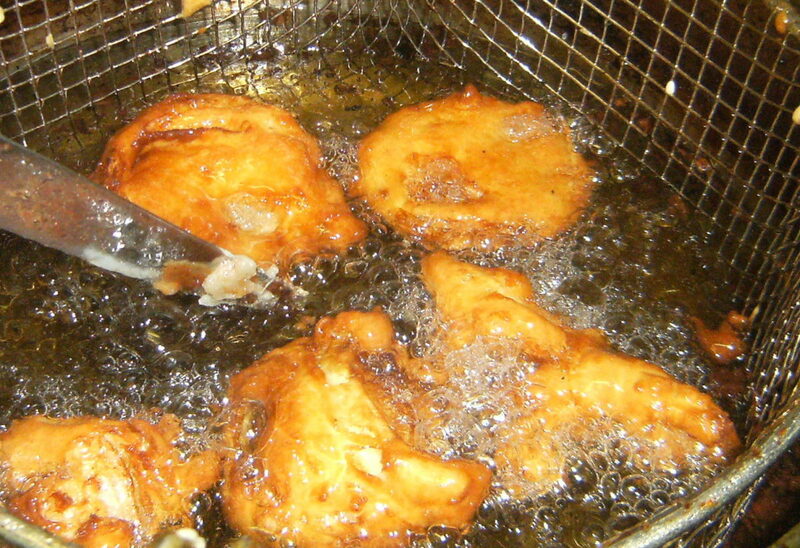 In other dishes it almost melts into non-existence, and becomes buttery, sweet and caramelized. It all depends on which onion you use (it's a big family as I'll explain below) and how you prepare it. As you might guess, onions are easy to grow, they perform well in various soil conditions, and in many/most parts of the world. 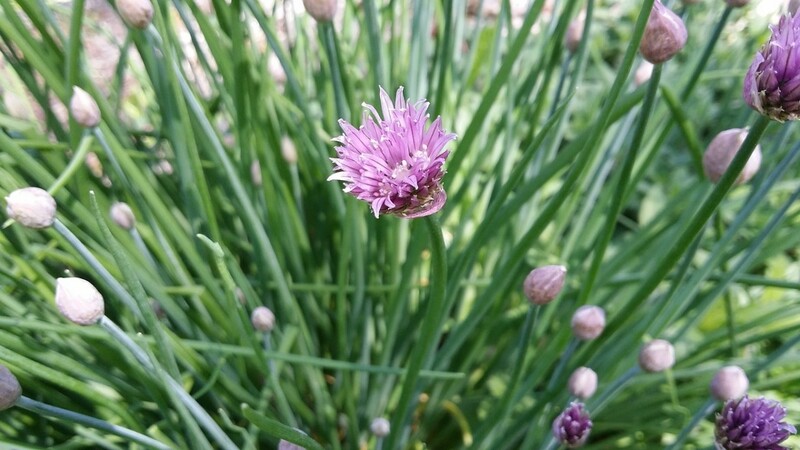 Chives are a perennial, meaning that they return year after year. Unlike other members of the onion family, only the top (green) part of the plant is harvested. The bulb remains in the earth. Chives are one of the first plants to appear in early spring. Their cheerful purple flowers can also be eaten and make a lovely decoration on fresh salads. Divide chives every three or four years to stimulate new growth. Chives can be started from seed or nursery transplants. These are considered the universal, all-purpose onion and make up about 75 percent of the world onion production. They are astringent yet sweet, and their sweetness intensifies with low, slow cooking. They can be round and fist-sized or flattened. Sweet varieties (Vidalia, Walla Walla, Maui) have a higher moisture content and so do not store as well. 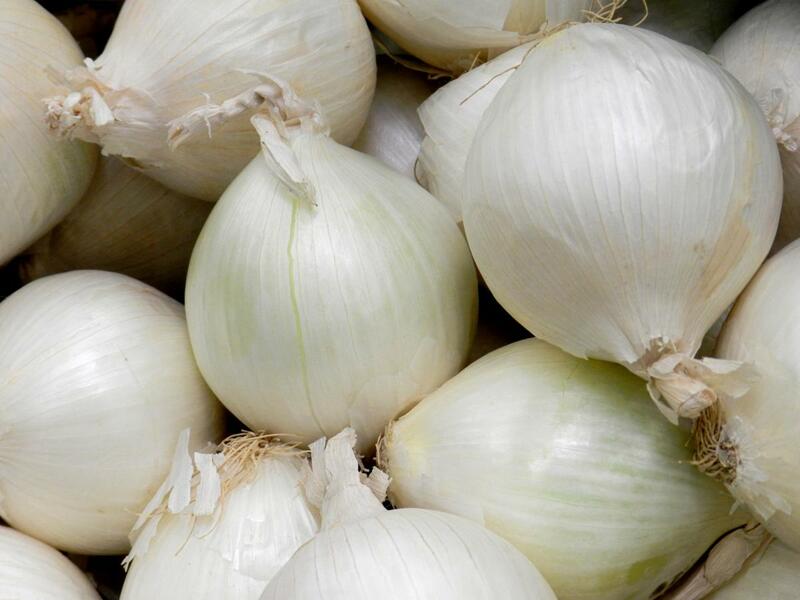 White onions have an all-white skin and flesh. They are slightly milder in flavor than the yellow onion and are a great substitute if you’re in need of an onion flavor, but don’t want it to be too powerful. Shallots have a mild, delicate flavor and are simple to grow at home, but (oddly) are quite expensive. They have mild but distinctive flavor that is amazing in soups and sauces. 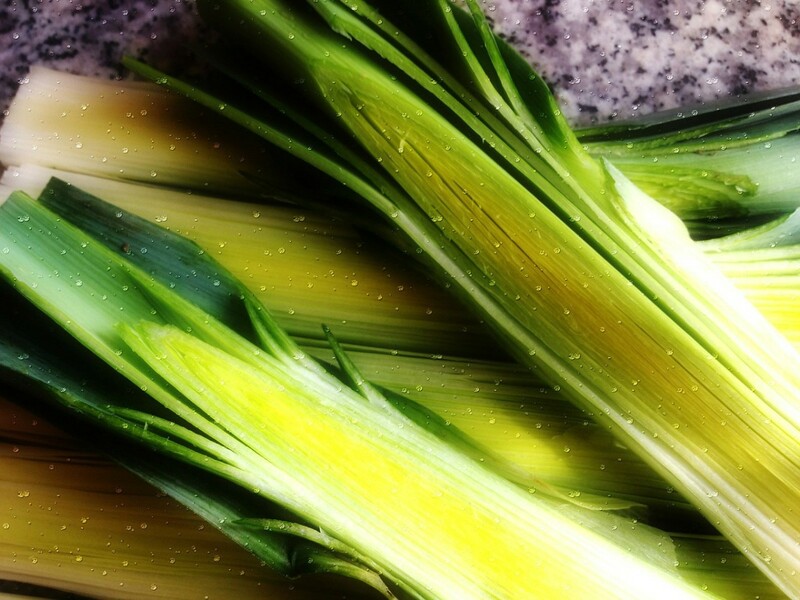 Like shallots, leeks are easy to grow, yet inexplicably expensive to buy at the grocery store. When small, they can be harvested like green onions. Plant them in a deep trench and mound soil around them as they grow. This "mounding" will keep the bottom of the plant from turning green. 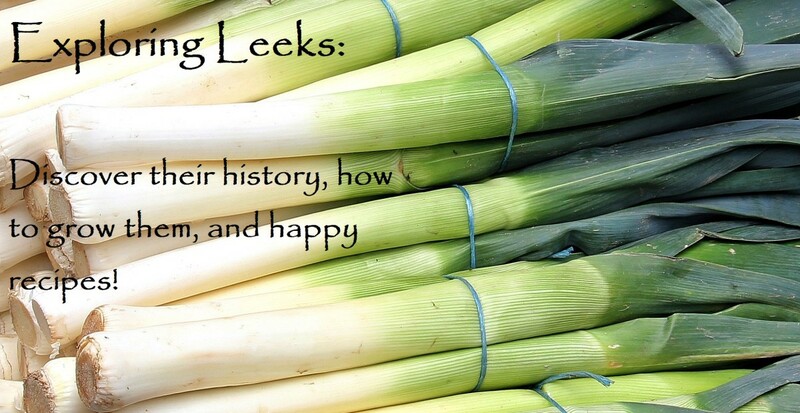 In about 120 days, when the plants are 1-inch or more in diameter, you may harvest your leeks; you will be rewarded with snow-white, tender stalks. 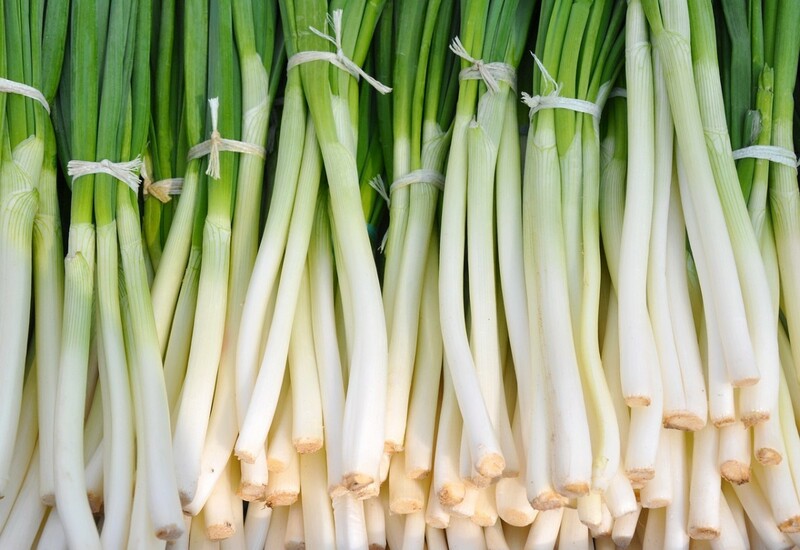 Leeks have a mellow onion flavor and can be used in place of yellow onions. These beauties have purple outer skins and red flesh. They are similar in taste to yellow onions. 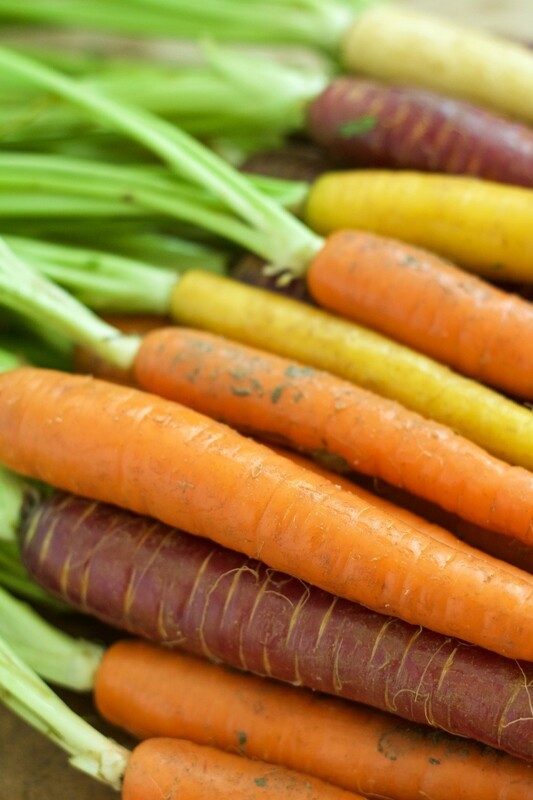 Because of their color they are often used raw in salsas and salads. If you find that the flavor of red onions is too sharp, but you want to use them for their color, soak slices in water before preparing. Also known as scallions; they usually have a mildly pungent flavor Scallions are long, with a white stem end that does not bulge out. They have an onion-y but mild bite that is not as intense as regular onions (the white parts contain the most intense flavor). They can be used raw or cooked, and while some cooks discard the darker green tops, the whole thing can be eaten, and is often used in Asian cooking. Scallions are usually available year-round. 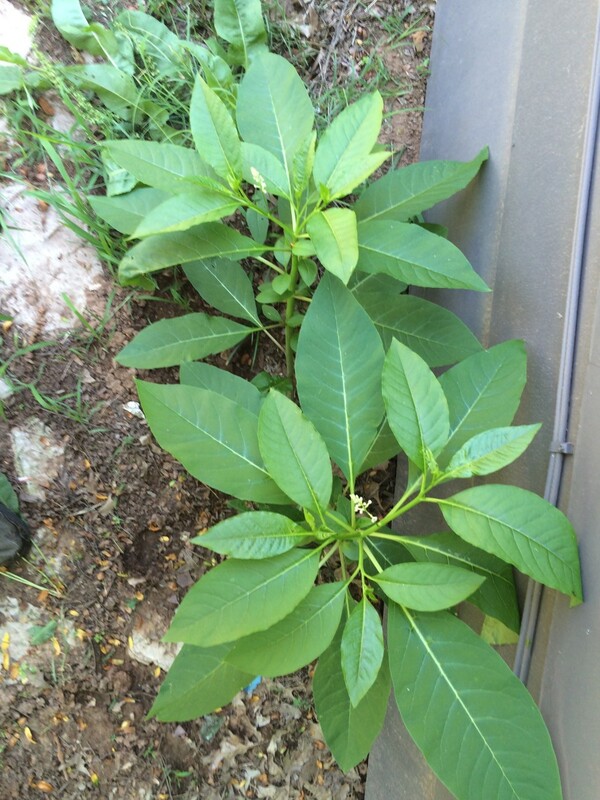 Look for a bright color, undamaged leaves, and firm stem ends. Heat the oil and butter in a large sauté pan over medium heat. Place the onions, thyme, salt and pepper in the pan and cook, stirring occasionally about 20 minutes or until the onions are softened and begin to turn golden brown. Don't hurry the process by turning up the heat--the onions will burn and taste bitter. You want them to caramelize. Line a 10-inch tart pan with the pie dough. Sprinkle feta cheese on the pastry, followed by the Parmesan and Gorgonzola cheeses. Top with the onion mixture. Bake at 425° for 25 minutes or until golden. Cool for 10 minutes. Heat olive oil in 4-quart Dutch oven over medium heat; add about 1/3 of the beef to the pan and cook, stirring occasionally until browned on all sides. Remove from pan and repeat with remaining beef. It is important to not crowd the pan. If the pieces of beef are too close together they will not brown properly--instead they will simply steam. Add more oil to the pan as needed. To the same pan stir in the onions and cook until onions begin to brown. Return browned beef chunks to the pan. Stir in remaining ingredients except diced potatoes and noodles. Heat to boiling; reduce heat and cover. Simmer 1 1/2 hours or until meat is tender. Note that the grated potatoes will fall apart--they are intended to thicken the soup. Stir in diced potatoes and noodles and continue to cook until potatoes and noodles are cooked through. Heat a large skillet over low heat. Add oil; swirl to coat. Add onion; saute 20 minutes or until deliciously caramelized and golden brown. Place onions in a large bowl. Cook rice in a large pot of boiling water 5 minutes. Drain. Stir rice, milk, cheese, salt, pepper, and nutmeg into onions. Spoon onion mixture into an 8-inch square glass or ceramic baking dish coated with cooking spray. Sprinkle evenly with Parmesan cheese. Cover and bake at 325° for 40 minutes. Uncover and bake an additional 5 minutes. Top with parsley, if desired. 4 red onions, thinly sliced, about 2.5 lbs. Increase heat to medium-high. Add salt and pepper, wine, and tomato paste. Cook until wine is almost evaporated (about 5 minutes). Add water, tomatoes, and herbs. Bring to a boil and then cover; reduce heat to simmer and cook about 20 minutes. Stir in soy sauce. Discard bay leaves. We prefer to leave the tomato pieces in our soup, but you may puree the tomatoes in a blender before adding them to the soup if you wish. OK, now you have the vegetarian stock. 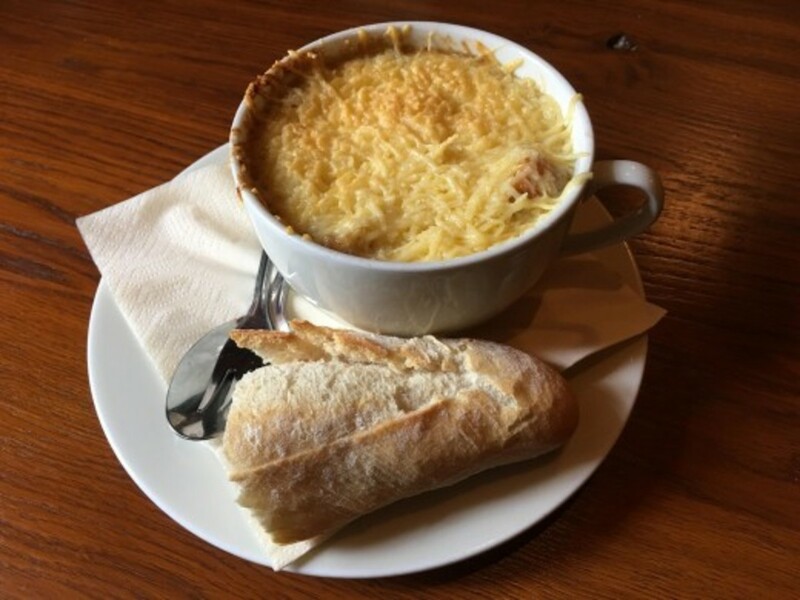 And you can use this for so many more things than French onion soup. So, keep this recipe in your back pocket (as my dad would have said) for future reference. But, if you want to proceed to turn this into Ooey Gooey Cheesy Goodness, continue with the instructions below. Preheat oven to 350 degrees F. Brush bread slices with olive oil and bake in oven until edges are brown, about 5 minutes. Set aside. When ready to serve, whisk the 1/2 cup Parmesan into your hot broth. It’s important to whisk in the cheese at the last minute, or else the cheese will fall to the bottom of the pot and burn. 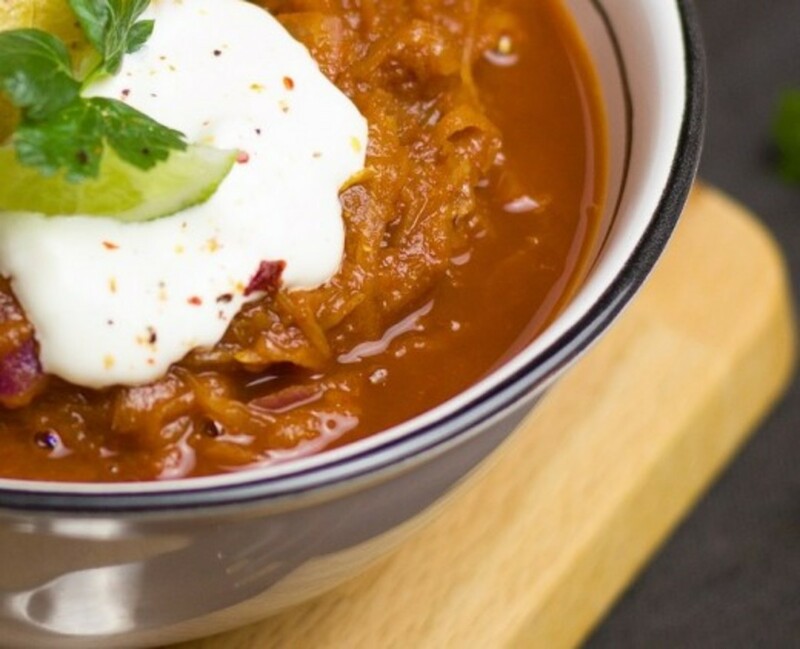 Ladle the warm soup into heatproof bowls, and lay a slice of the baked bread over each bowl. Sprinkle a layer of Gruyere cheese over the bread, and place the crocks under the broiler until the cheese bubbles and browns. Flourish - I'm with you on that one. I know people who will eat a sweet onion (Walla Walla, Vidalea, etc.) like an apple. Just the thought gives me shivers. No sliced onions on the burger for this gal. I'm glad you found this interesting. Food is so much more than just something to eat! What a fascinating history you provide here on the onion. I had no idea. I love to use it for its versatility but sure cannot stand a raw one. Bodylevive - thank you. Yes, they really are a universal food. I hope you enjoy the recipes. 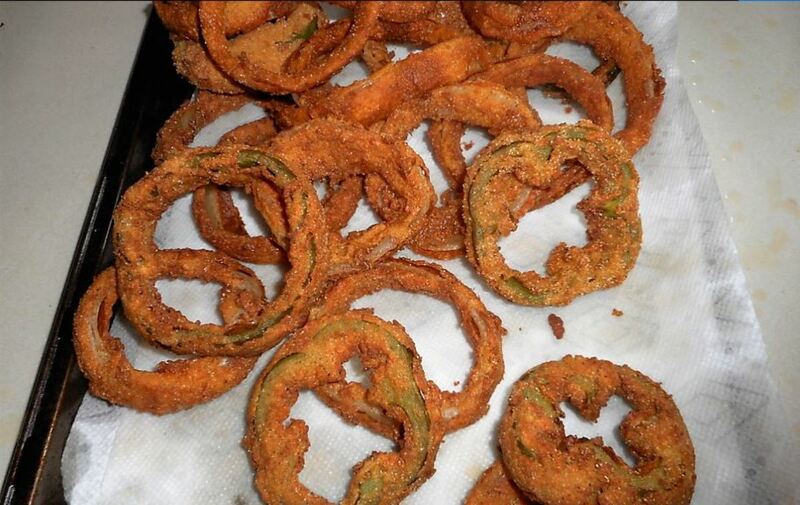 Thanks for the recipes, great post as I am an onion lover. I put onions in almost everything. Thank you RTalloni - I like your idea. 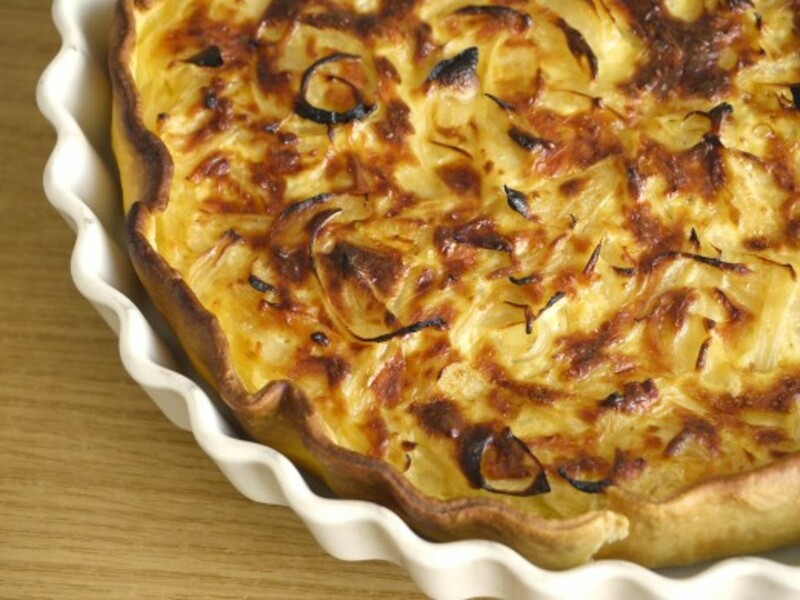 If you liked the onion tart recipe, note that there are others available as well in the links. Around the World with Onions could be a subtitle to your very creative approach to onions. Thanks for the interesting read as well as the useful info that includes the recipe. Venkatachari - I am glad that you appreciated this hub. I enjoy doing the research. 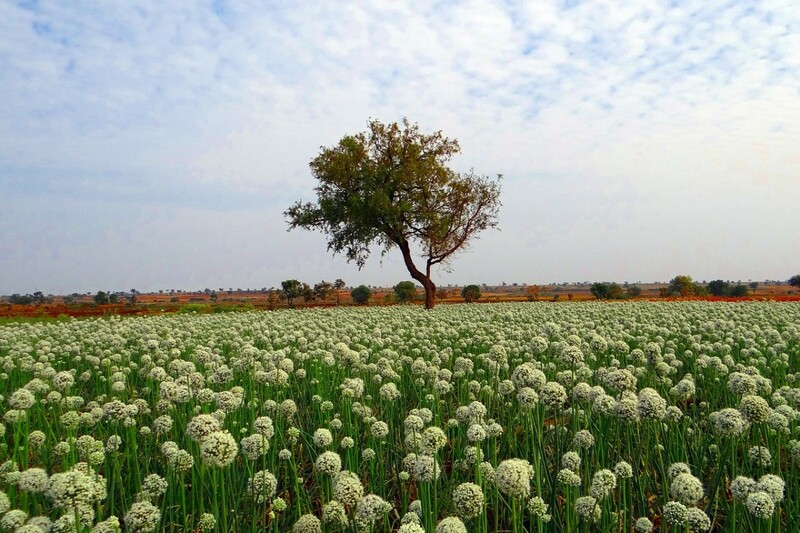 I was happy to find the photograph of the onion field in India. What a beautiful scene. Thank you for your support. Very great knowledge about onions. Came to know a lot of onion history and facts. Onions are mostly used in all recipes throughout the world. But, nowadays, I am not using them since 3 years. I do not have any particular reason for that. Thanks for sharing all this wonderful knowledge. Voted up and awesome. Shon - I am glad that you enjoyed my hub. I see that you are a relatively new member of HP. Welcome aboard. kbdressman - thank you for visiting. Yes, onions make (almost) everything taste better. Bill - Glad your crop was so successful. Ours...not so much. Very interesting and a pleasure to read, enjoyed learning more about the humble onion. For the life of me cannot understand those that do not like them, my brother is one. So versatile and necessary in so many recipes as you allude to. Word association: you say onion, I say Walla Walla. Ours grew beautifully this year, as did the corn...peas not so much for whatever reason. Sigh! A farmer's work is never done. :) Thanks for the history lesson and have a great Monday. I absolutely love grilled onions! We put an onion in our crockpot with a roast, potatoes and carrots tonight. It was delicious! Thanks for the great hub and the background on the onion. Lots I didn't know before!